The festival of the sacrifice of castles is here, in all its goat bleating and cow mooing glory. 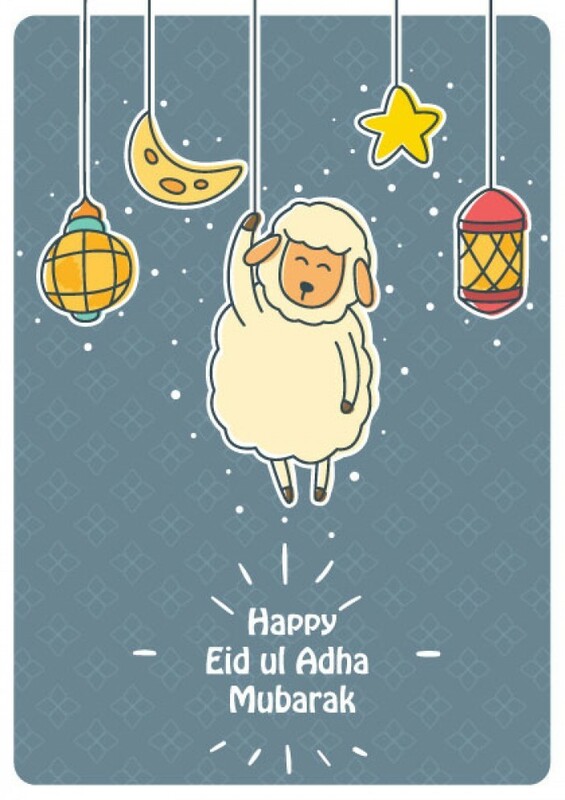 Eid Ul Adha marks the 10th of Dhu al-Hijjah according to the lunar calendar and is a much-awaited event for both the children and adults all over the world. What with buying and taking care of the livestock, building them up for the big day, there is a lot to see in every home. On the day itself, these animals will be sacrificed in the name of Allah and most of their meat will then be distributed to the poor and needy, which highlights the basic theme behind this festival of animal sacrifice or Bakr-Eid as it is more commonly called. People prepare for this event days beforehand, however, the major effort of the arrangement is finding the animal of one's choice. An immense variety is made available by cattle farmers that have raised their livestock the entire year, especially for this purpose. Men and children set out to the barns where these animals are kept and after quite some searching, get the animal of their choice. It is shipping it back home from there. All the family members are excited to see what kind of animal has been bought and a lot of fuss is made of him, polishing and cleaning, grooming their bought cattle to perfection. The fun for the youngsters begins now, as they take to the streets with their bought animal showing off its perfection to everyone. Not only this, there are some professionals who actually harbor every breed of cattle in all shapes that you can imagine, from massive Australian bulls to the beautifully slender Japanese breeds for the onlookers to have a taste of how different and magnificent different cows, bulls, goats, and camels can look. This whole display of animals in not common everywhere, though. In certain parts of the world, you can’t actually get your cattle to your residence. Instead, you order the animal slaughtering from a slaughter house and they sacrifice the animal on the designated day for you, to give you its meat accordingly. The animal hype is one thing, but of course, the men, women, and children can’t stay behind the livestock. Lots of effort is put into the big day of Eid to look proper and perfect. Children and men alike buy new clothes, the women spend lavishly on new attires and jewelry, in effect everyone does their best to look flawless. The specialty of the day, however, lies in the food where beef and mutton are made the delicacy of every dish. Women spend hours long of cooking to finally make delicious stews and roasts of the meat of their sacrificed animals for the whole family to eat and enjoy. However, most of the meat of the sacrificed animal is shared with the community and neighbors. This is what the real Eid is all about, the sharing part, where you take into account all the lesser fortunate and give them a share of your happiness and food. This part of the big day should never be forgotten as it will defeat the purpose of having an Eid Ul Adha at all. In all the happiness and excitement, let’s make sure we don’t overlook the needy and less fortunate around us. It won’t be much, but extending one helping hand may be the savior of person who has had no meat to eat for days. This year, let’s put these people before ourselves and make sure that with all the excitement and happiness in our home, a light is lend to their houses as well.